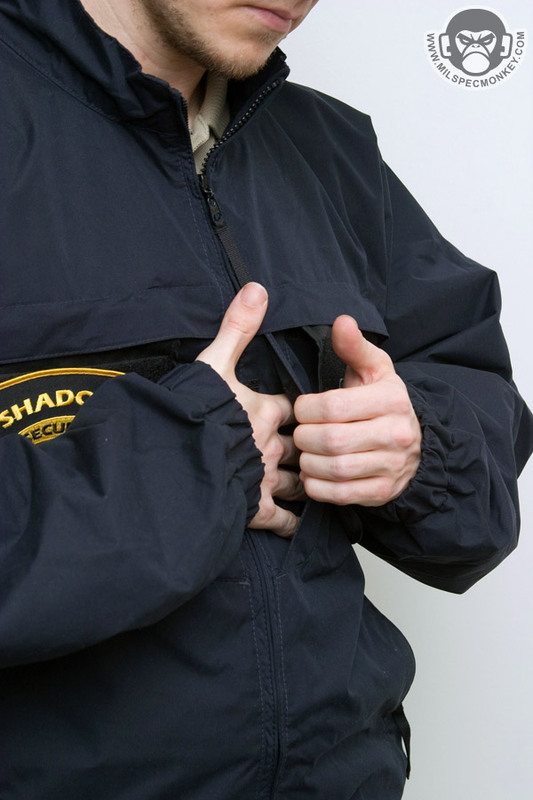 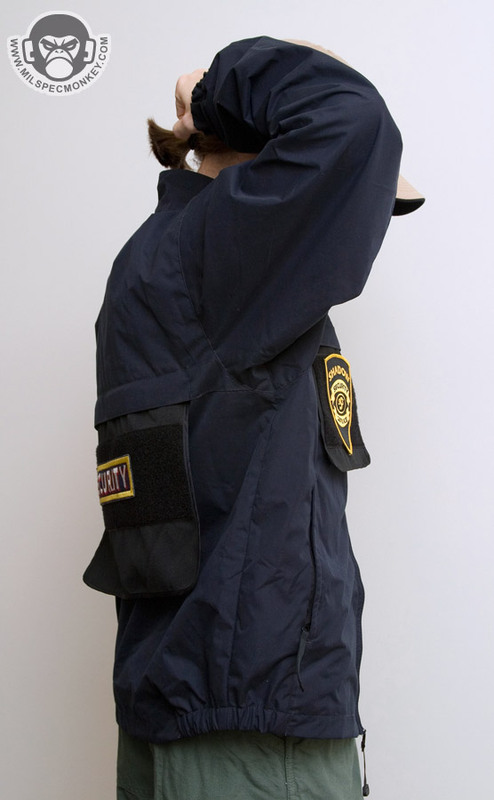 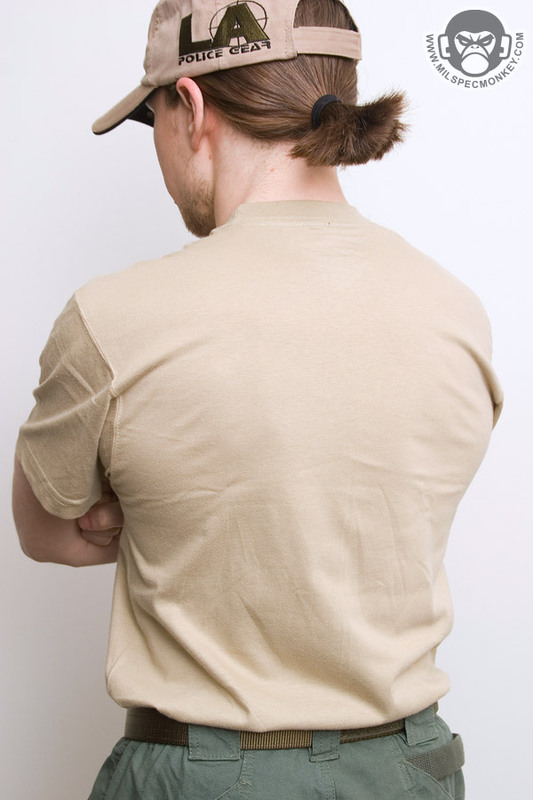 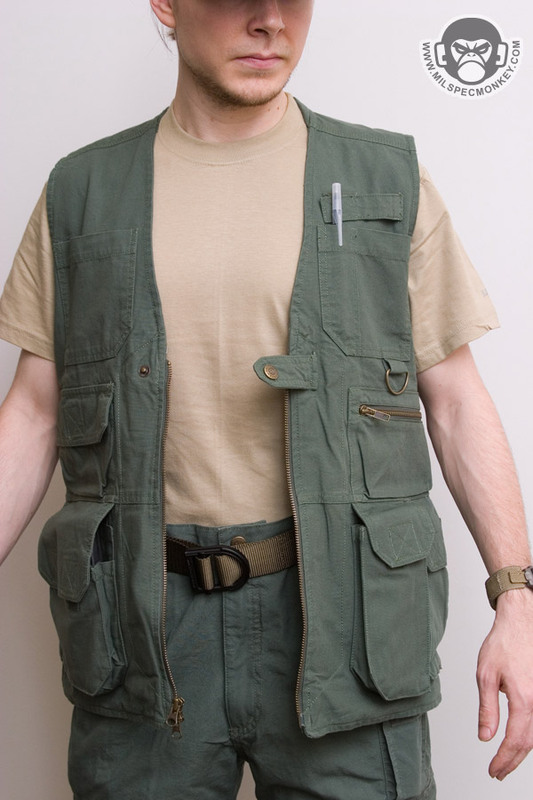 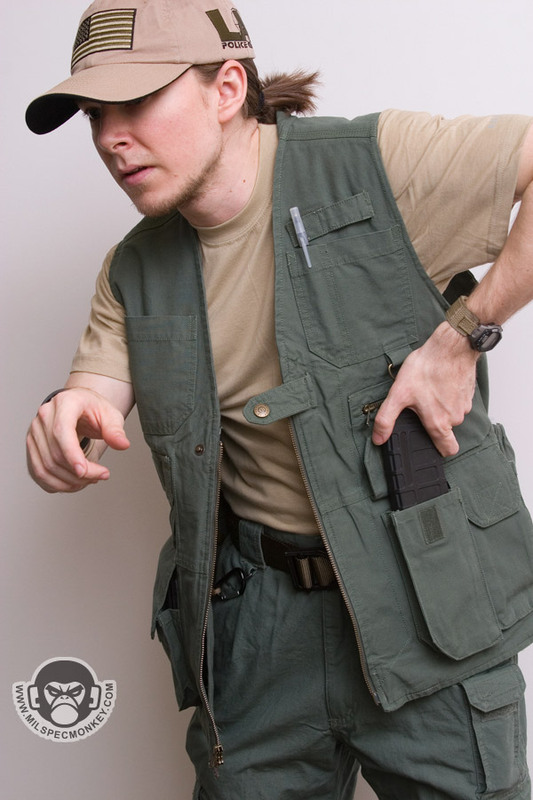 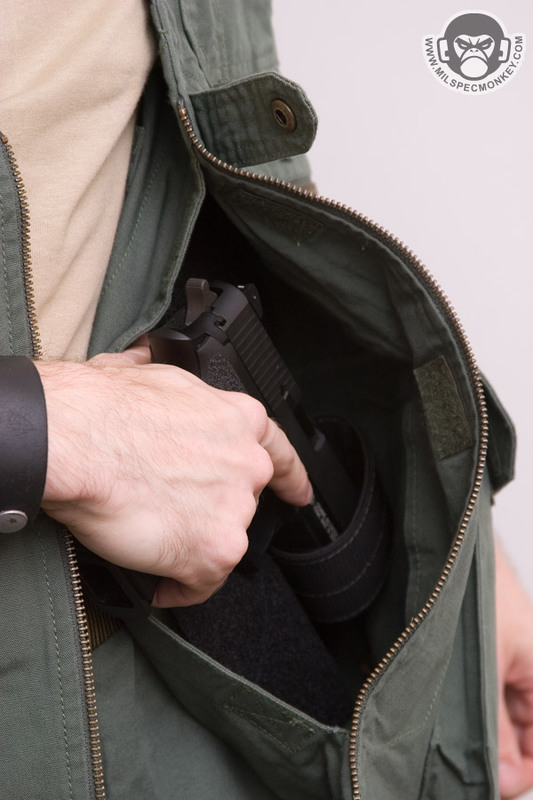 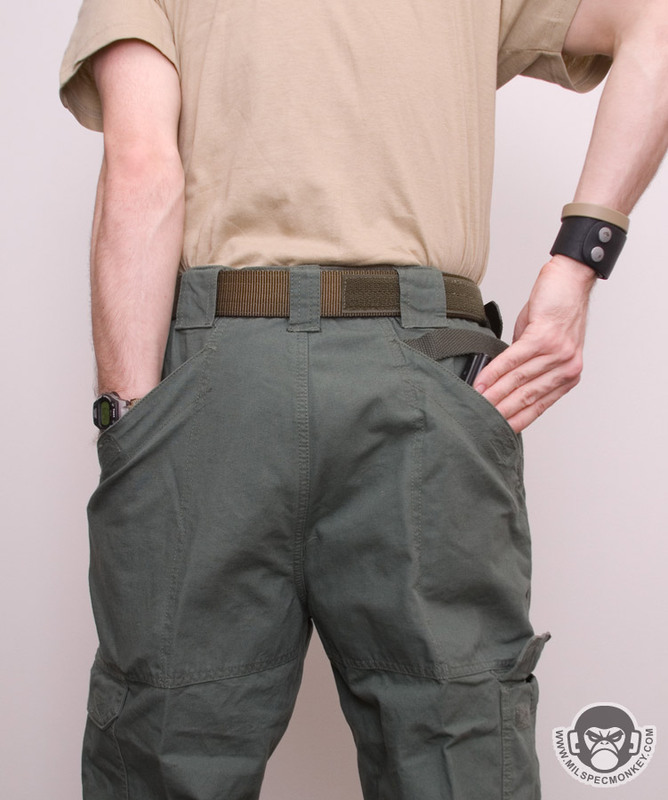 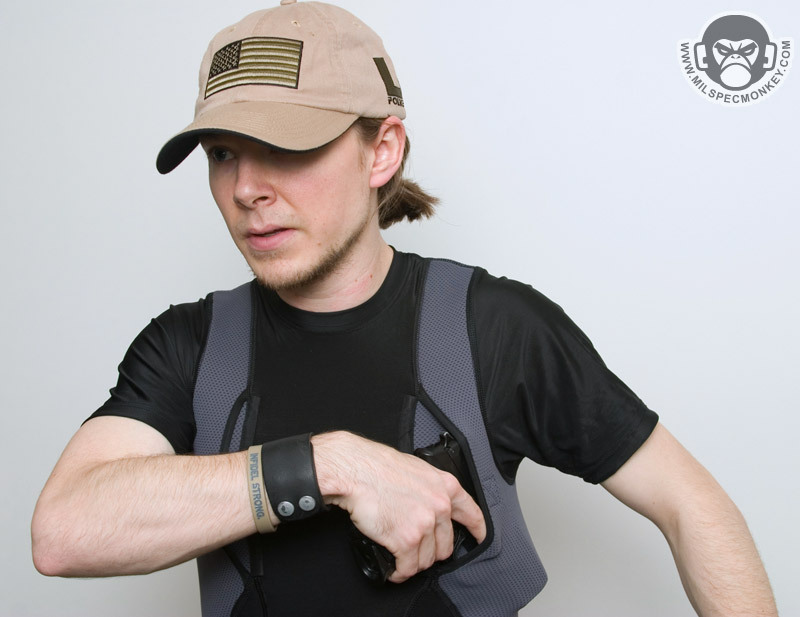 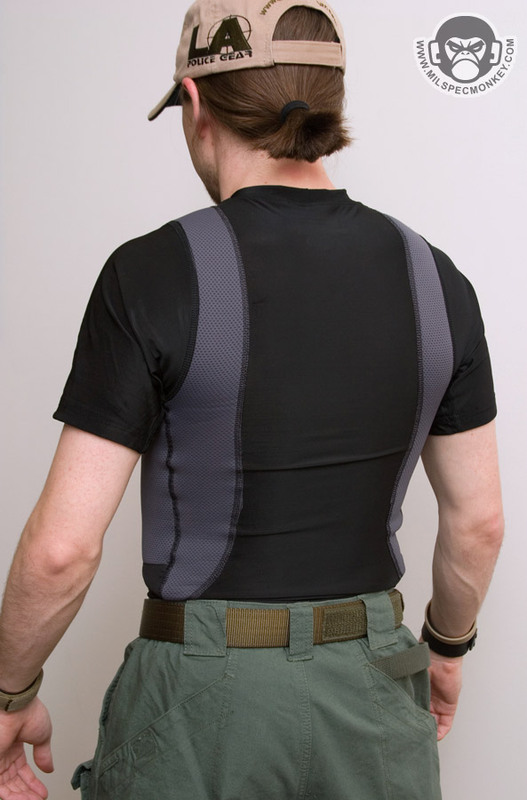 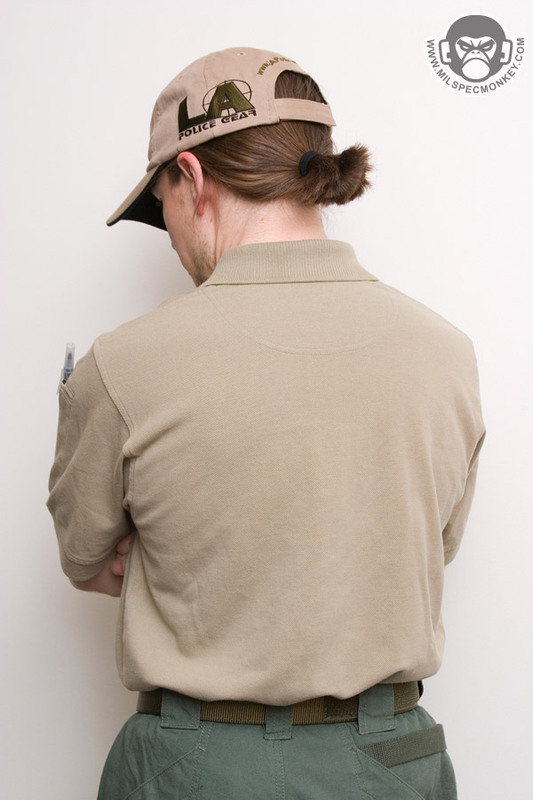 The holster shirt is a unique spin on a compression shirt including 2 pockets on the sides for compact or smaller pistols. 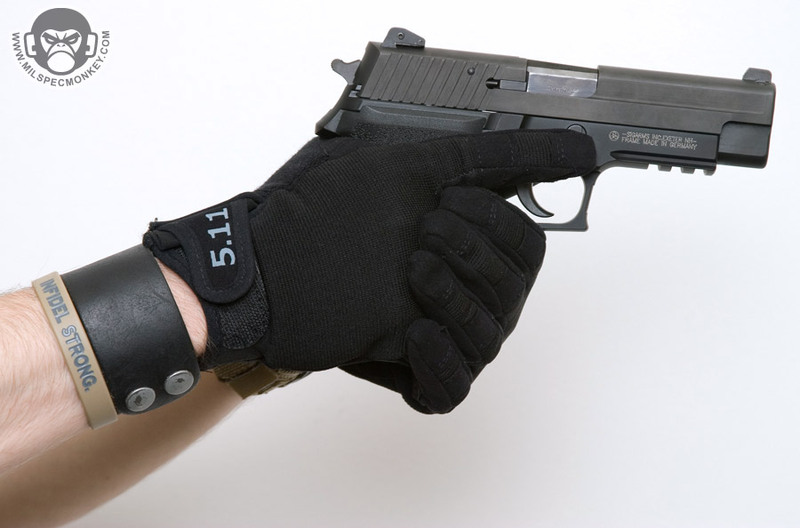 I display in my pictures a SIG SP2022 which fits pretty well, but is pushing the size limit in which I can barely use the velcro pocket seal. 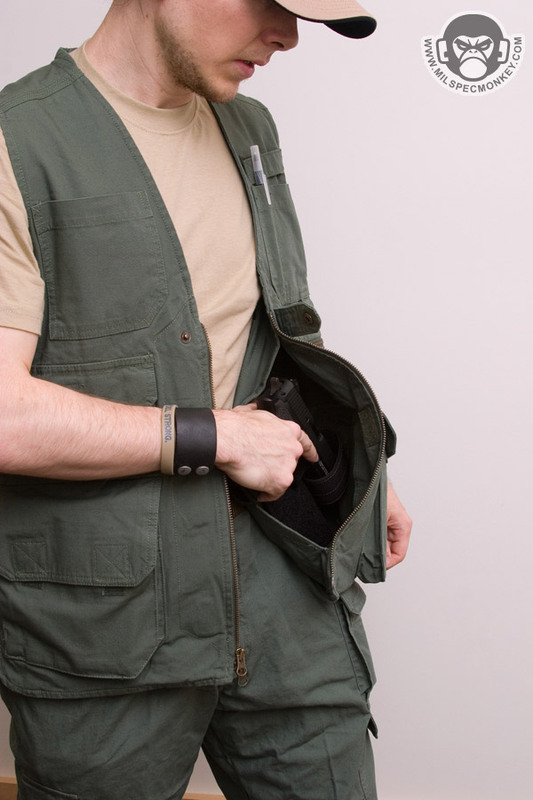 Smaller pistols will go in nice and easy and allow a solid pocket seal. 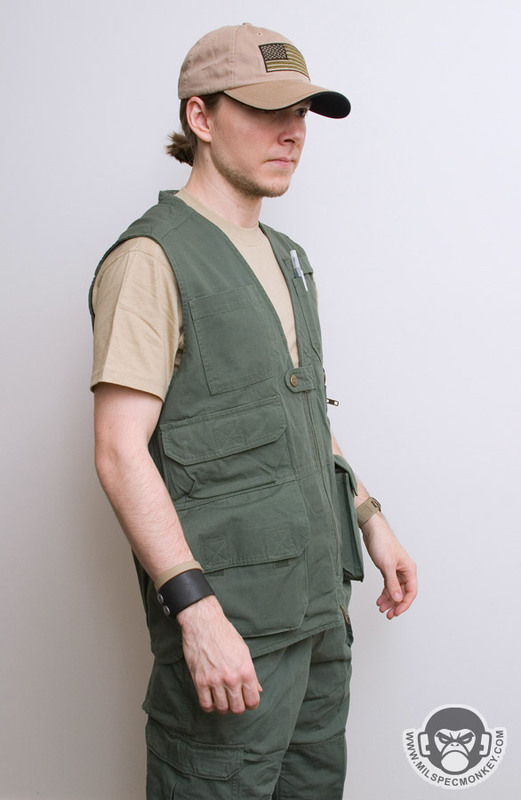 Overall the functionality is pretty solid. 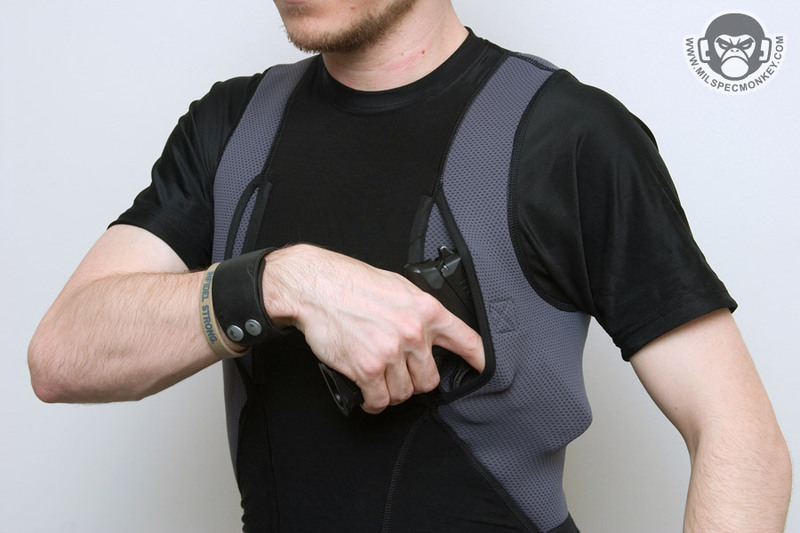 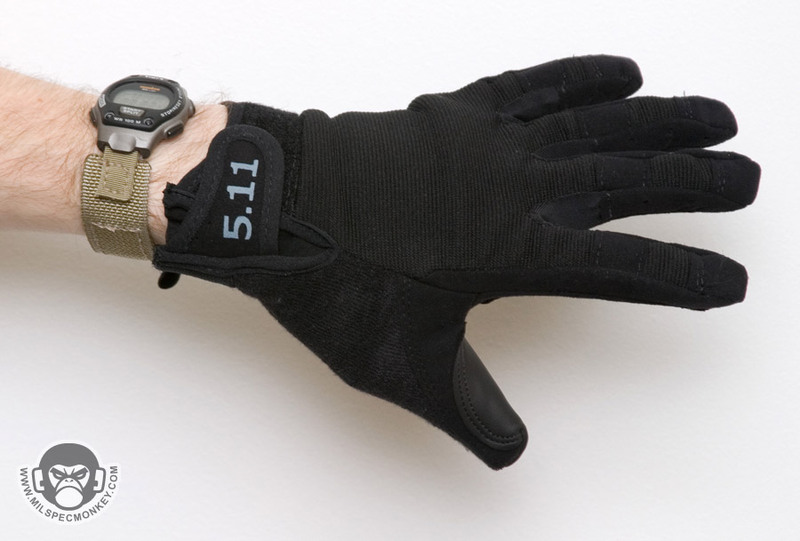 The extra padding allows for pistols that fit to be worn comfortably. 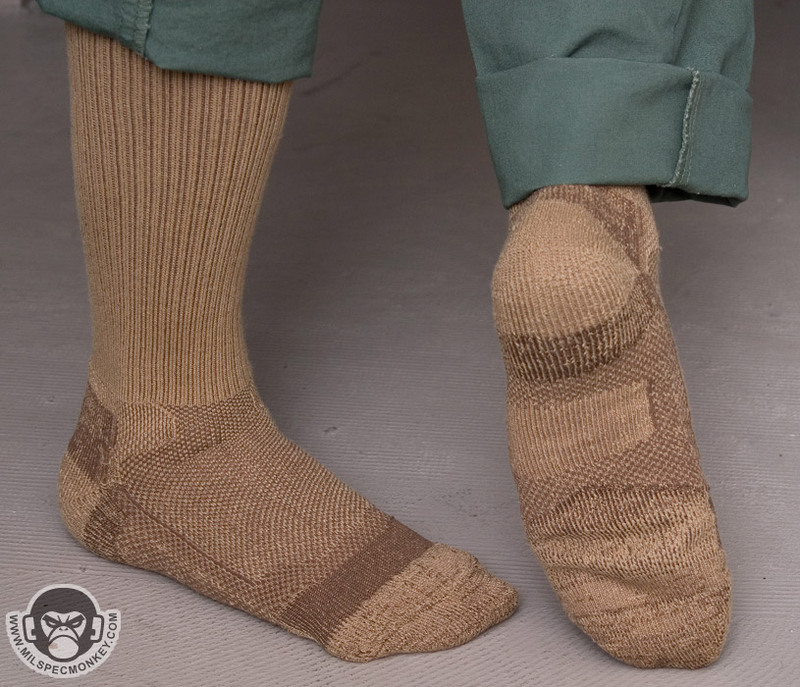 These are some plush socks to help out those poor tactical feet. 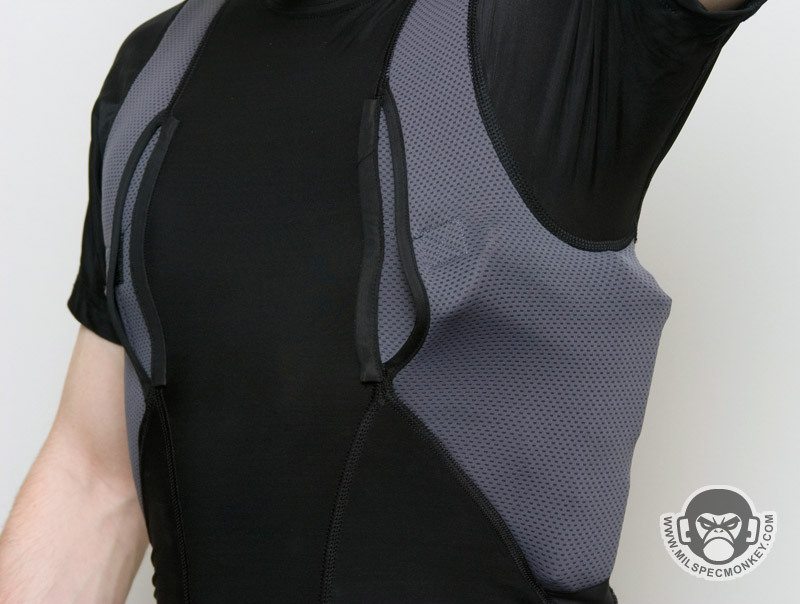 Fabric includes moisture-wicking Coolmax® fibers to help circulate the foot funk and keep you dry. 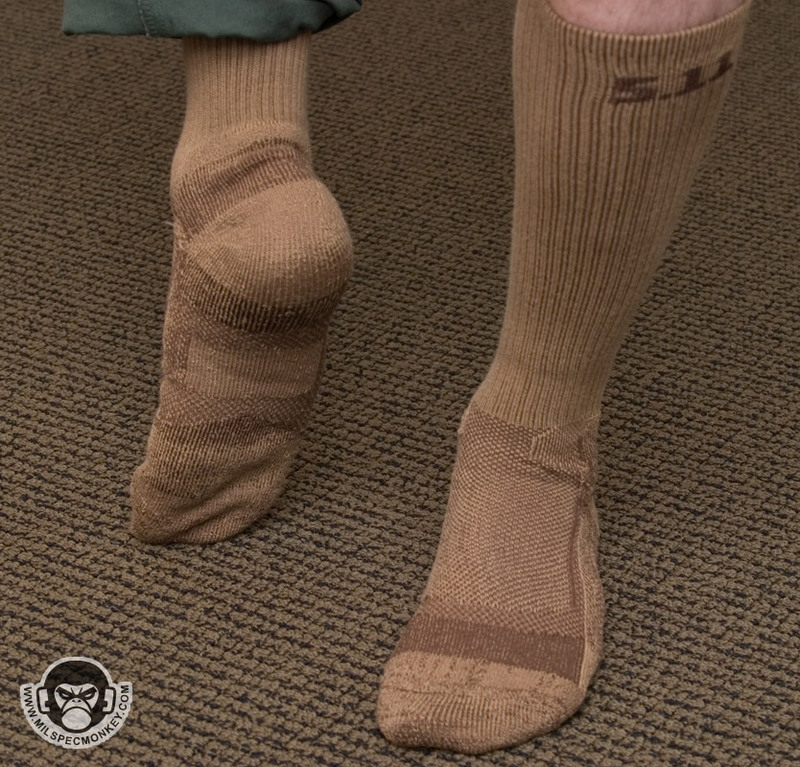 Although these are a nice balance of warmth and cushioning, Level 2 socks are also available which are thicker and warmer. 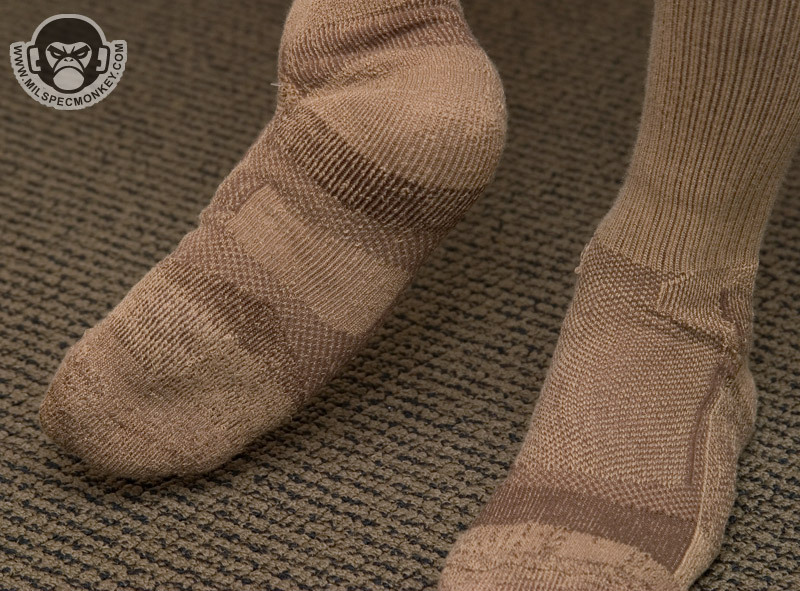 So far these socks have been a little quick to get fuzzy threads on the outside, but no hole issues. 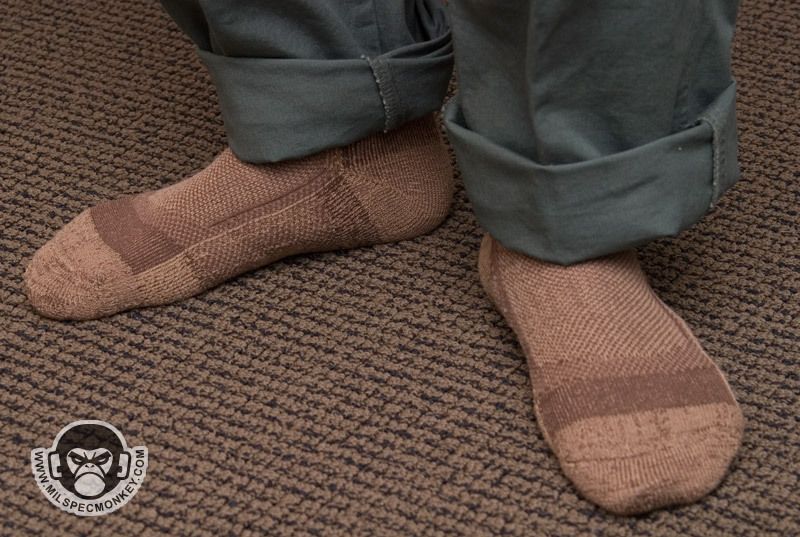 A nice upgrade from run of the mill department store socks. 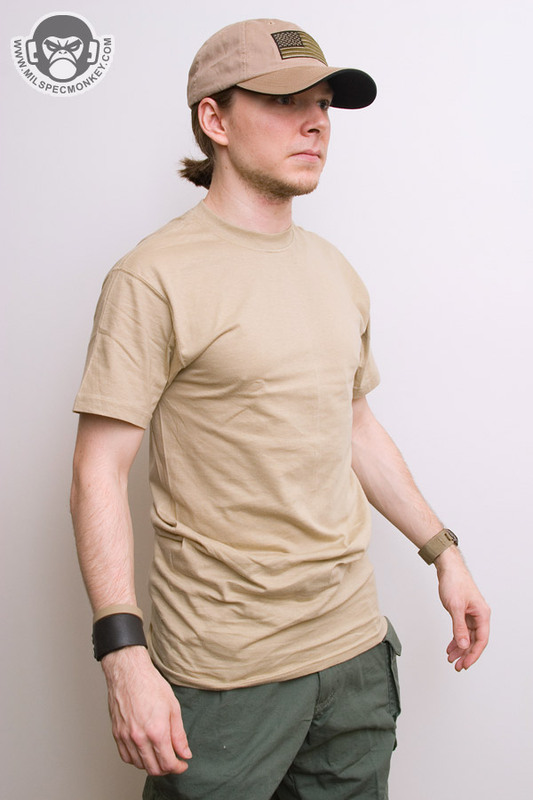 Currently available in white, coyote (as shown), and black. 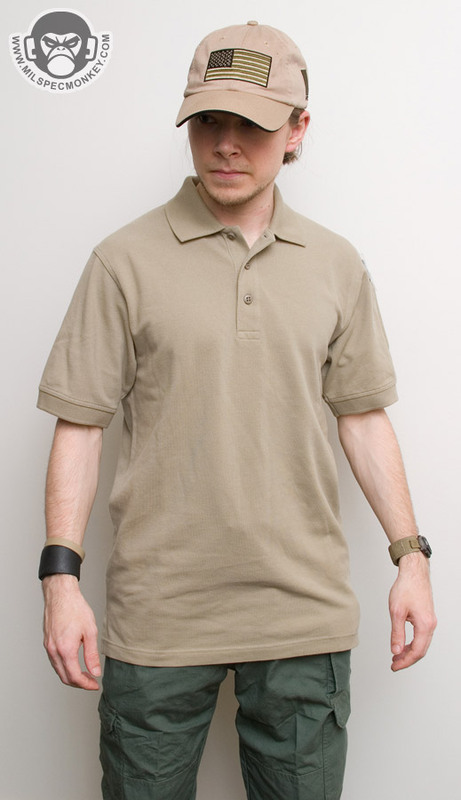 A simple polo shirt but done proper. 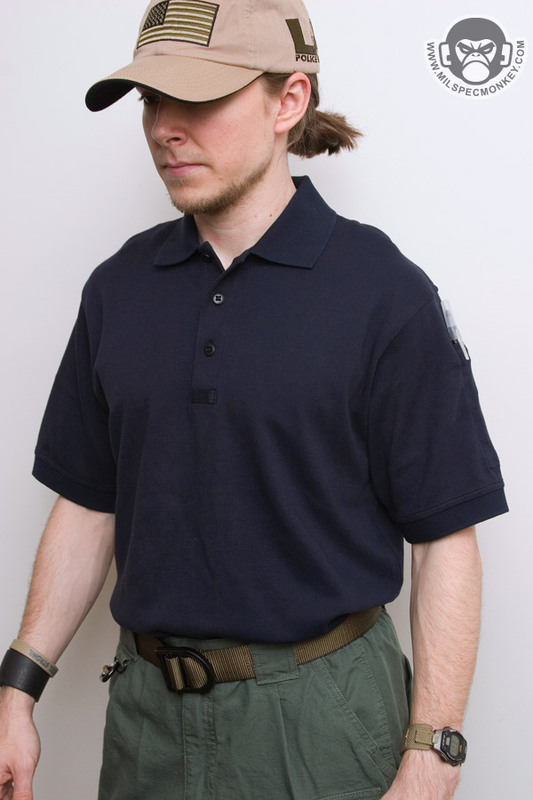 The shirt will not shrink and will keep its color much longer than typical shirts. 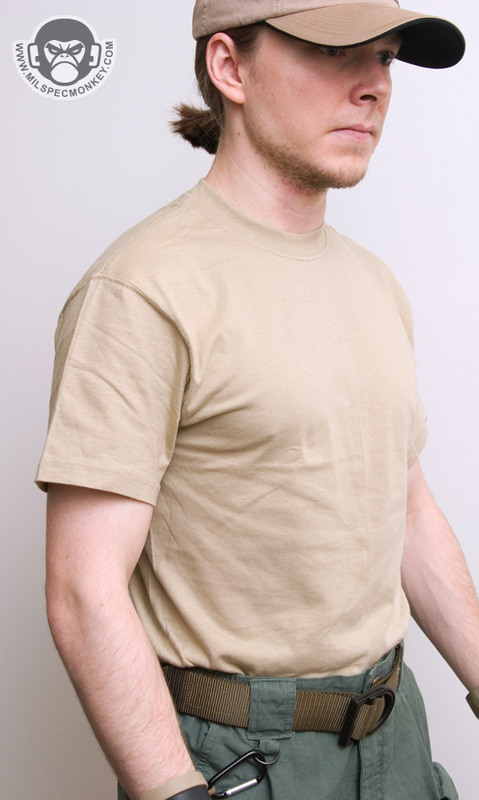 Using 100% cotton pique knit, the shirt has a nice soft feel. 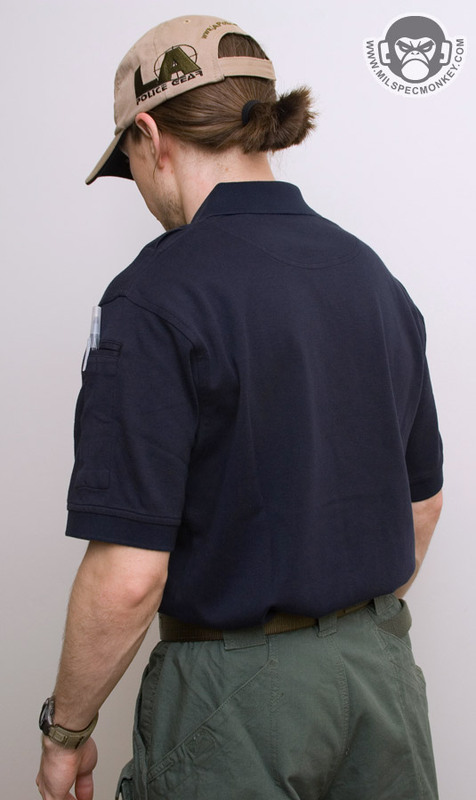 Other features include a no-roll collar, pen slot on left sleeve, and the fabric is great for embroidery. 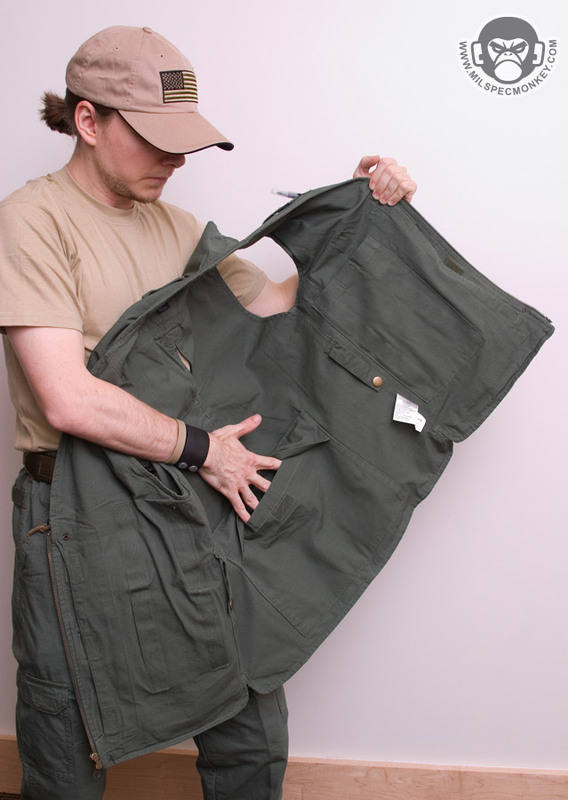 Looks like this one will last a while, will keep you updated on durability. 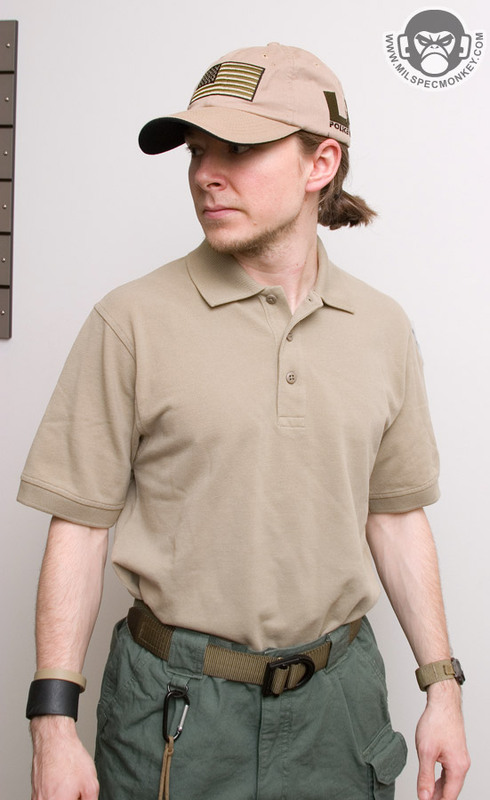 Many classic and mil colors available. 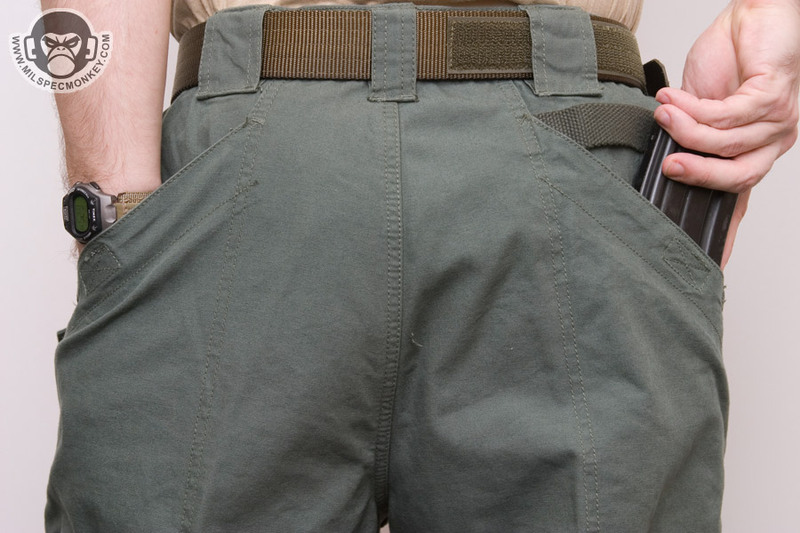 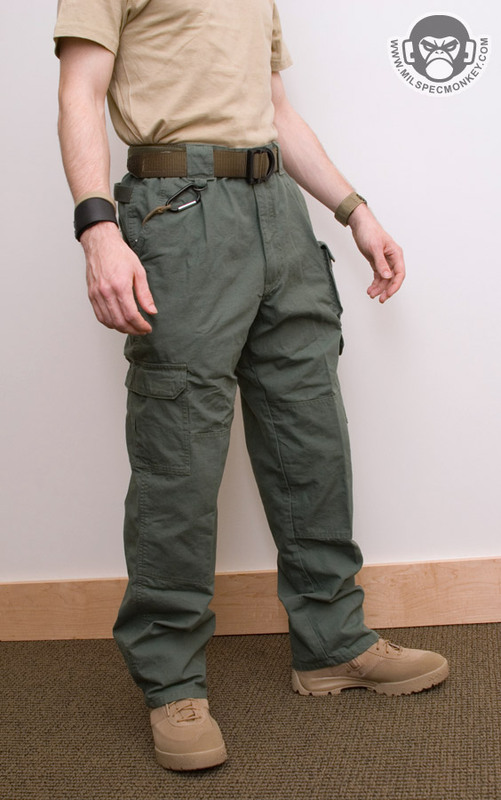 These pants are a nice variant from the TDU and BDU style pants. 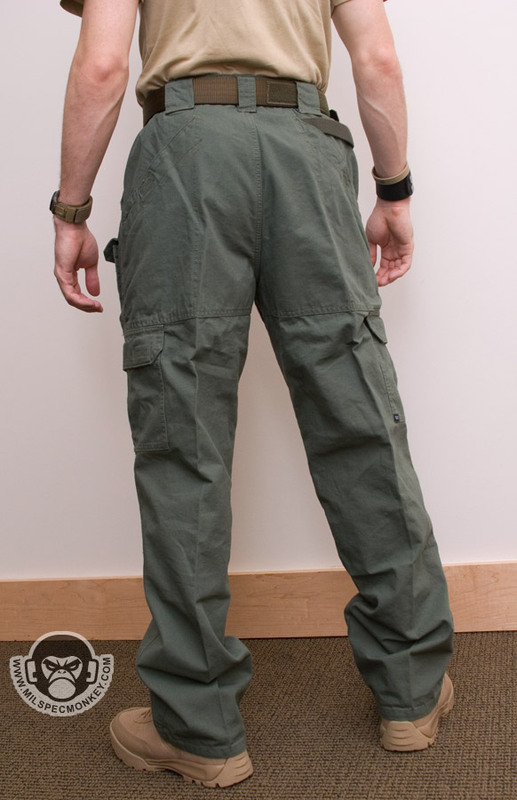 The main style is that of a typical cargo pant, but one of the features that makes it stand out is the slash / diagonal pockets on both upper front and back. 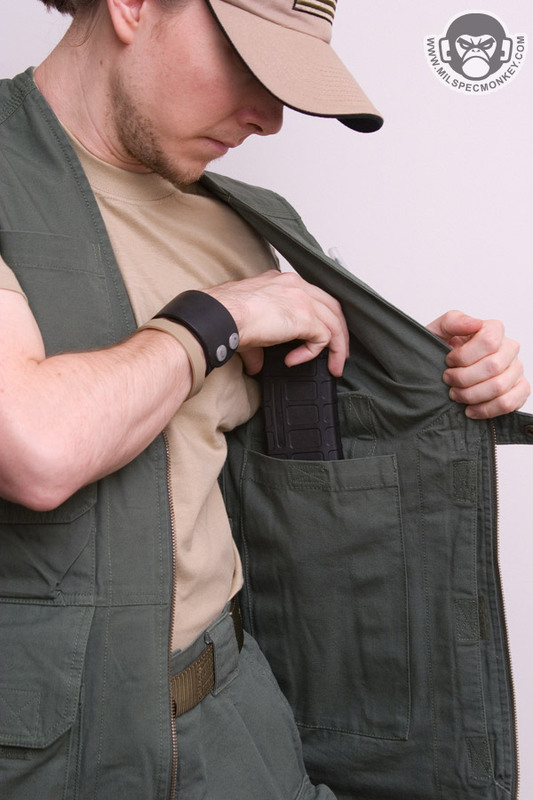 This makes the back pockets very easy to get to and they are deep enough to fit a 30 round mag. 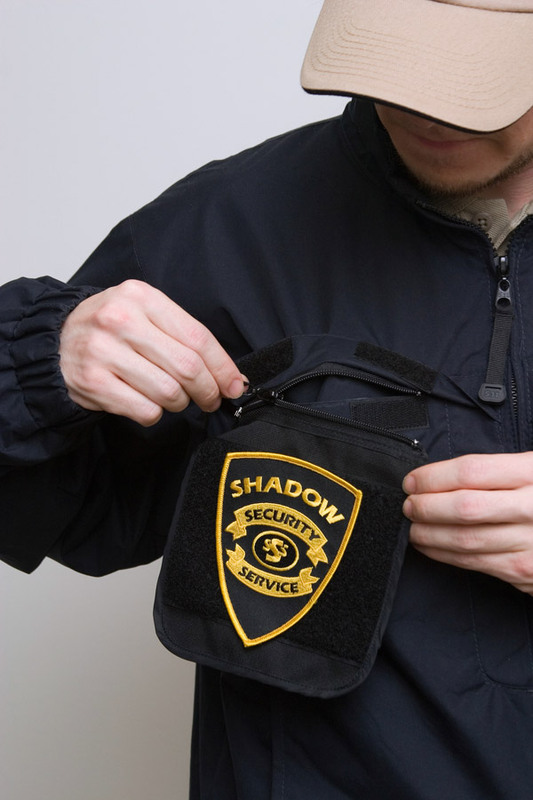 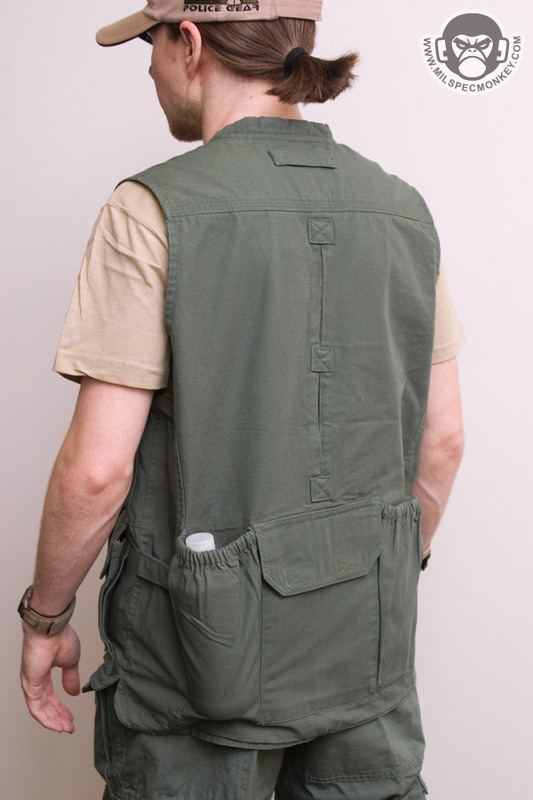 The right back pocket also includes a nice big strap as a solid connection point for your small tactical goods. 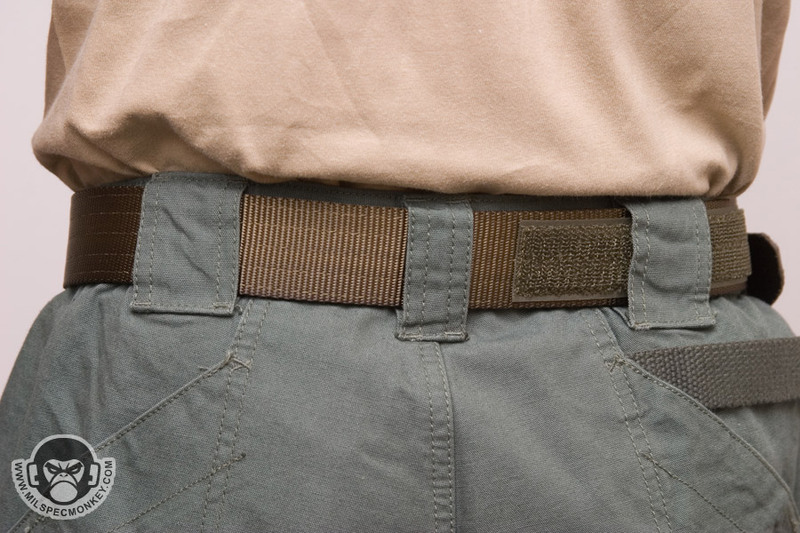 The belt loops are nice and wide and spaced away from the sides to give room for belt connections. 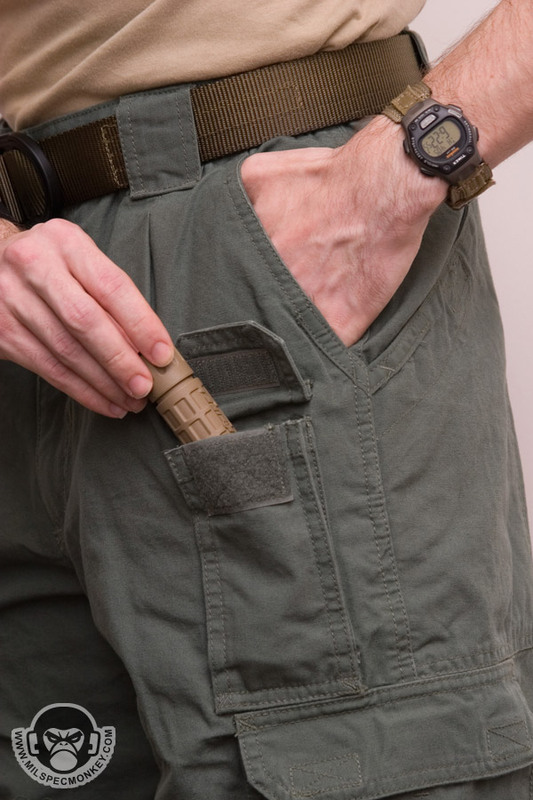 Back to the front is a small d-ring and a flashlight sized pocket on the front-upper left. 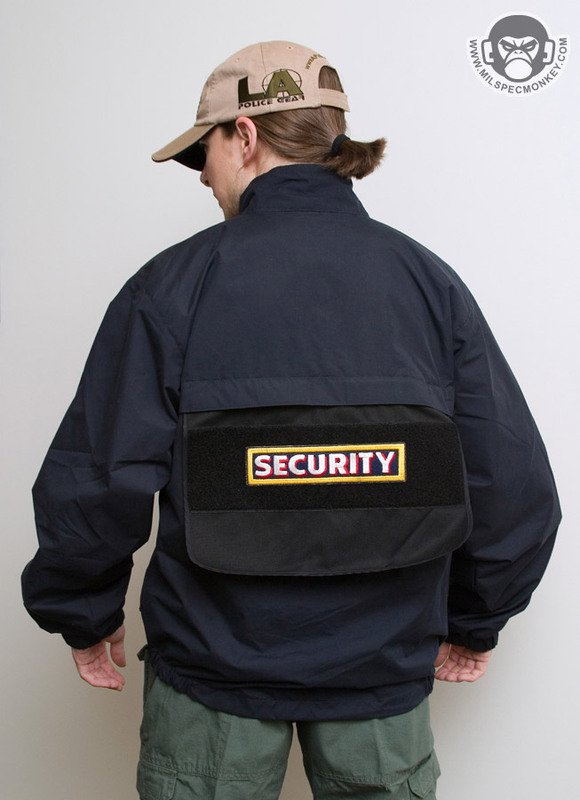 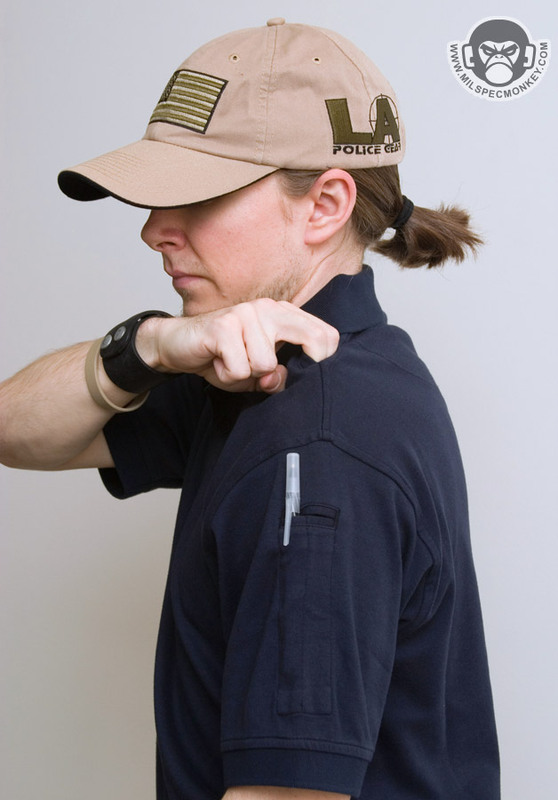 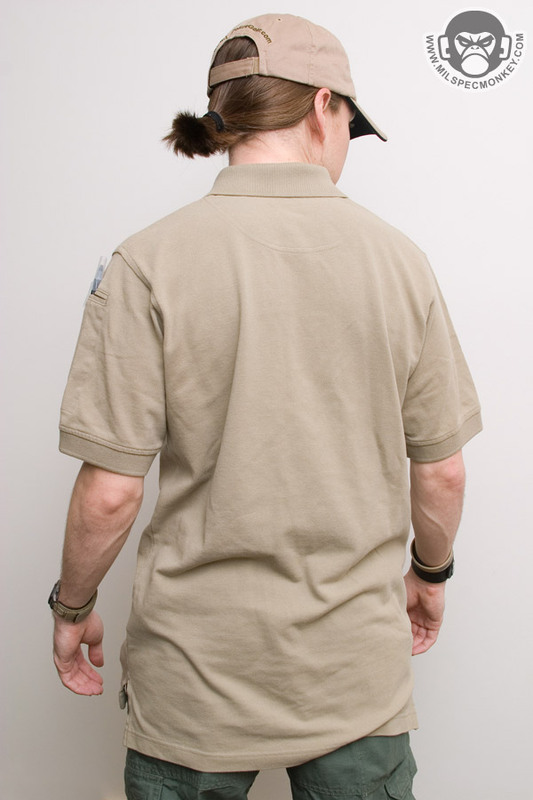 Similar to the pro-polo, this shirt variant includes mi-clip pockets on the shoulders and a mic-clip loop is placed at the bottom of the placket at the sternum level. 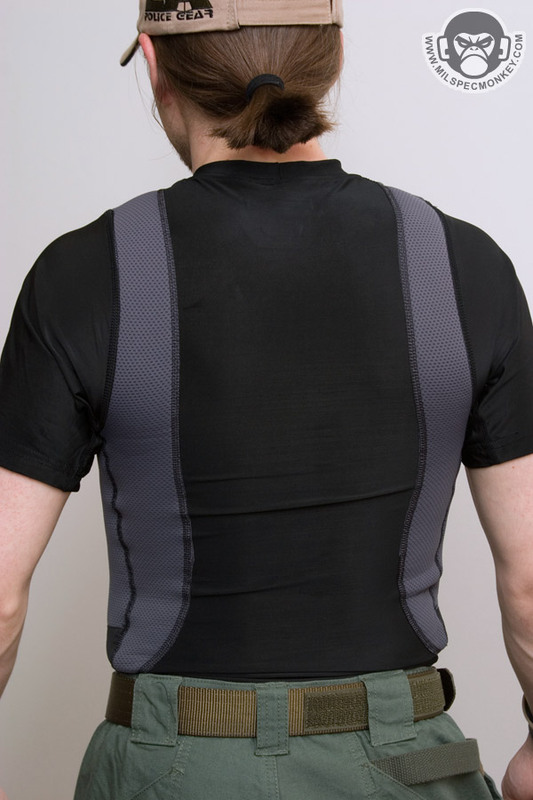 Comprised of 100% smooth cotton interlock fabric causes this shirt to be a little stretchy helping ease of movement. 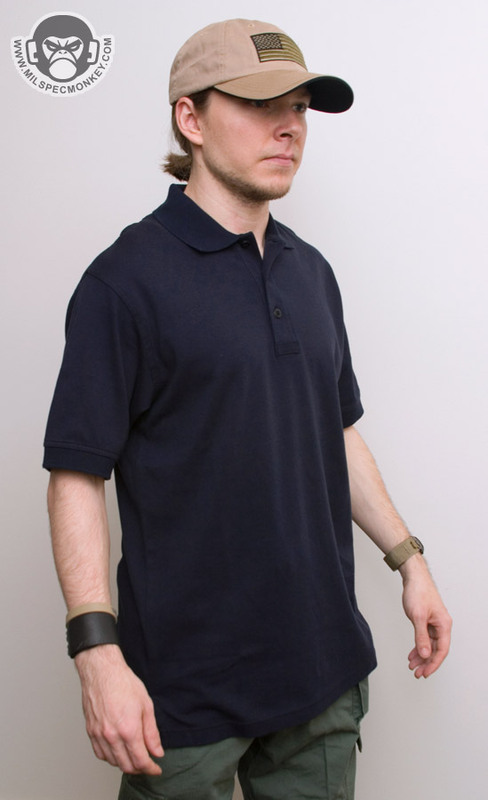 Like on the other polo, the no-roll collar and pen slot on the left sleeve are standard. 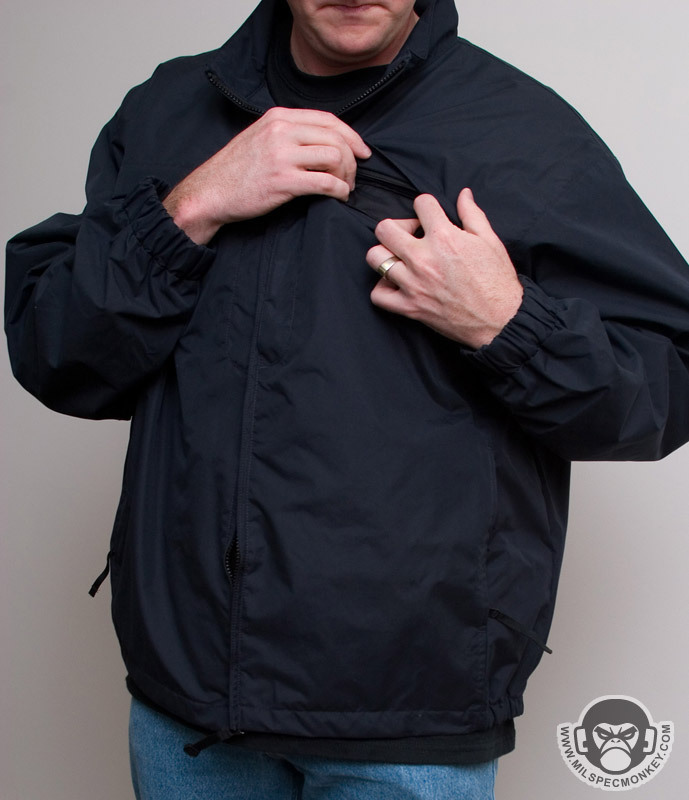 Will not shrink, is very fade and wrinkle resistant. 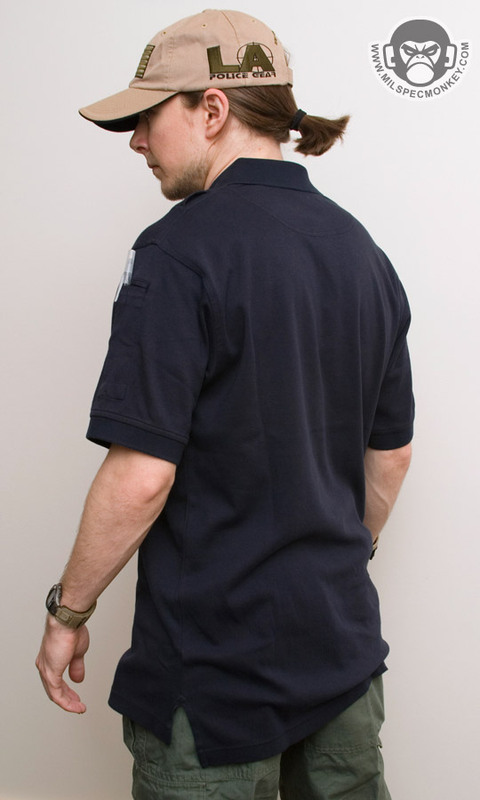 The shirt is also a good platform for silkscreen and embroidery. 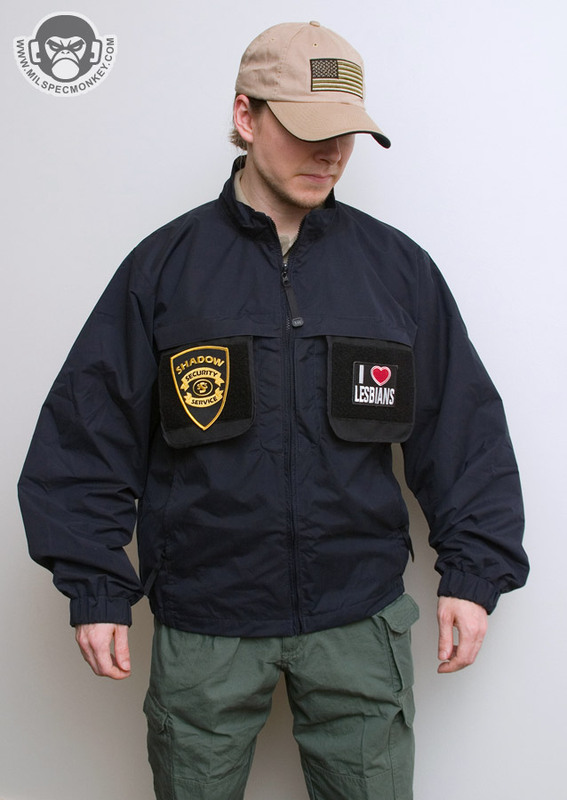 Mostly just law enforcement colors are currently available. 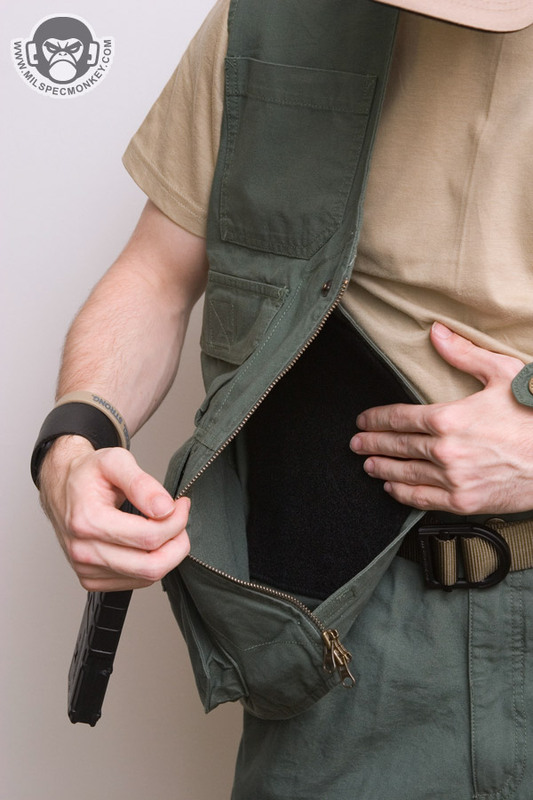 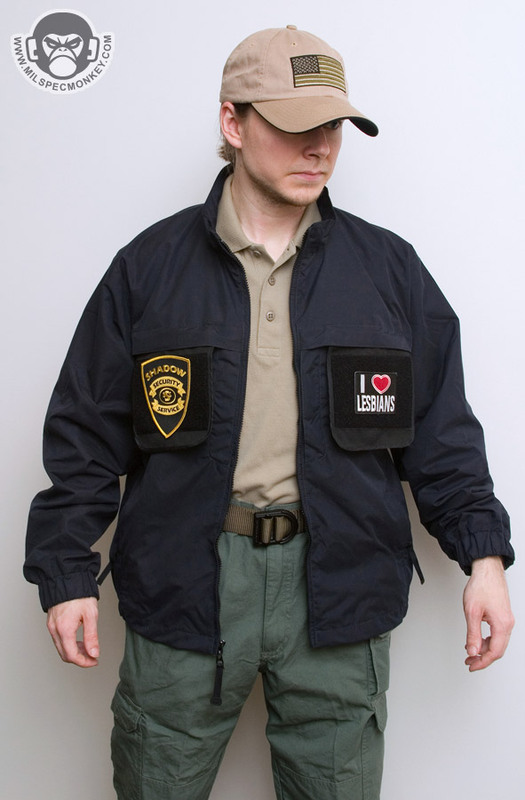 Sorry I know the placement is confusing, but despite the name, most of my visitors do not think of this item when they hear tactical vest. 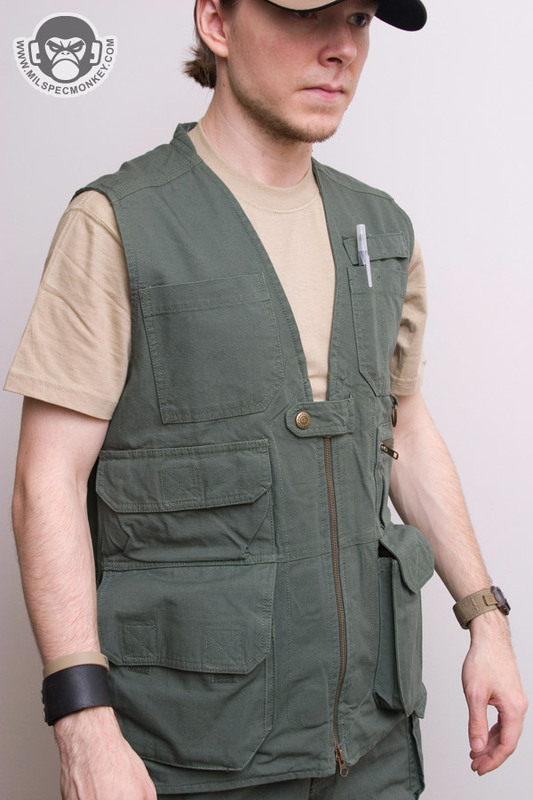 In the past these vests have been known as safari or photo vests. 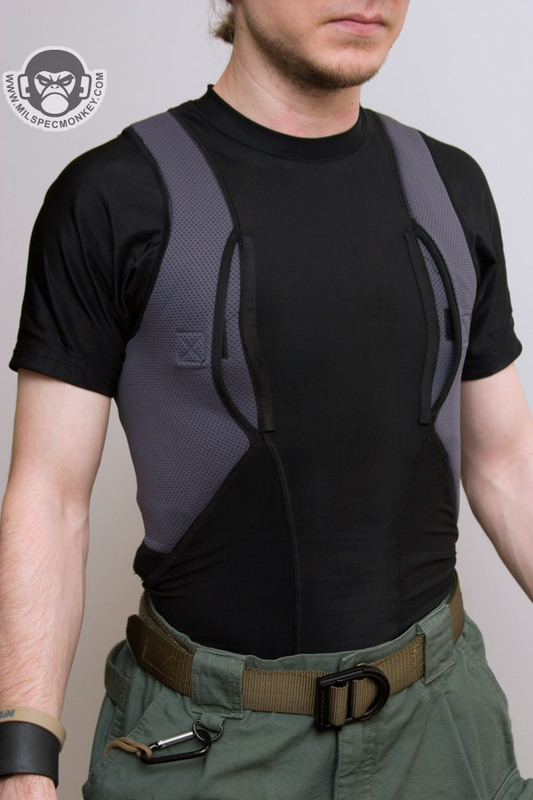 For a low weight vest, this is great for the range. 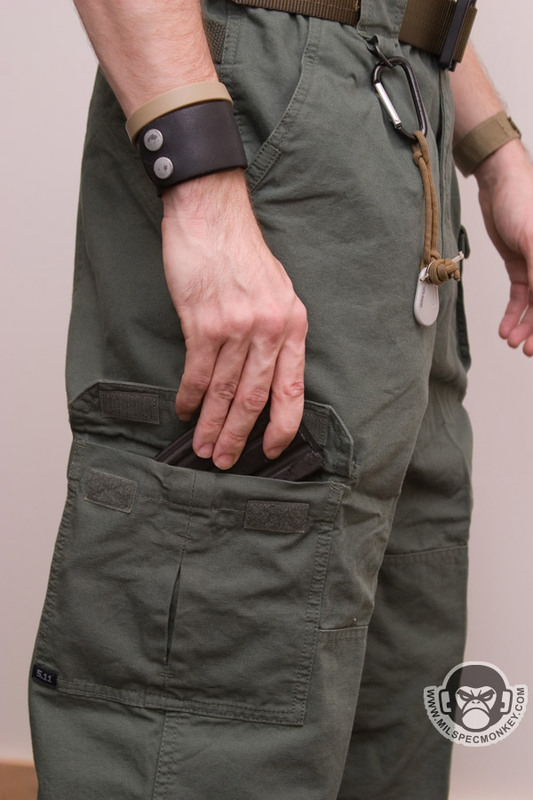 I can't say I like to look very much and it is by no means low-profile, but the pocket placement makes it functional and easy to use. 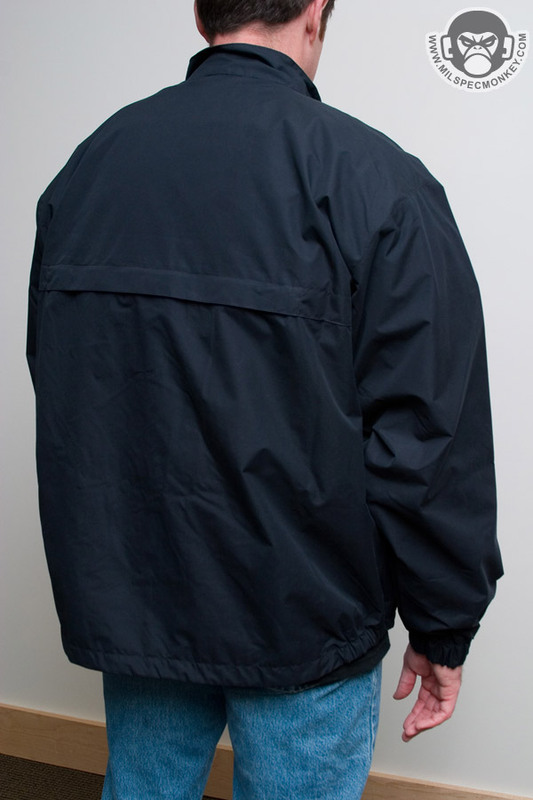 Another simple, but great product. 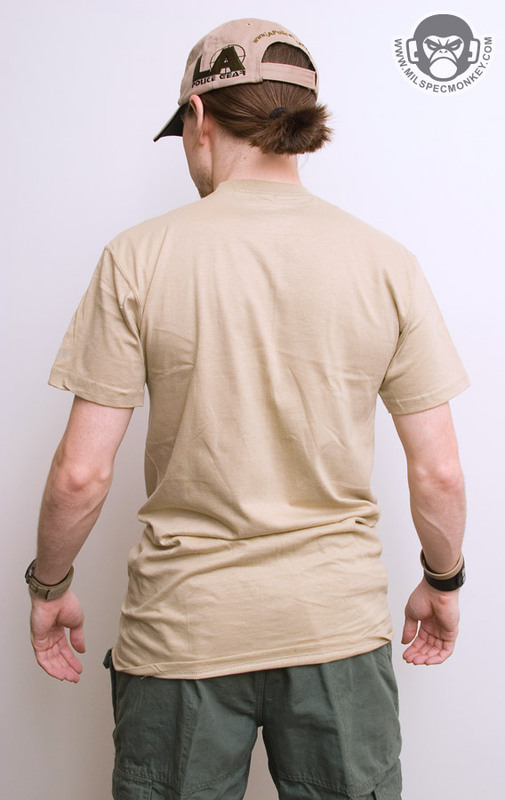 100% ringspun, 4.5-oz. 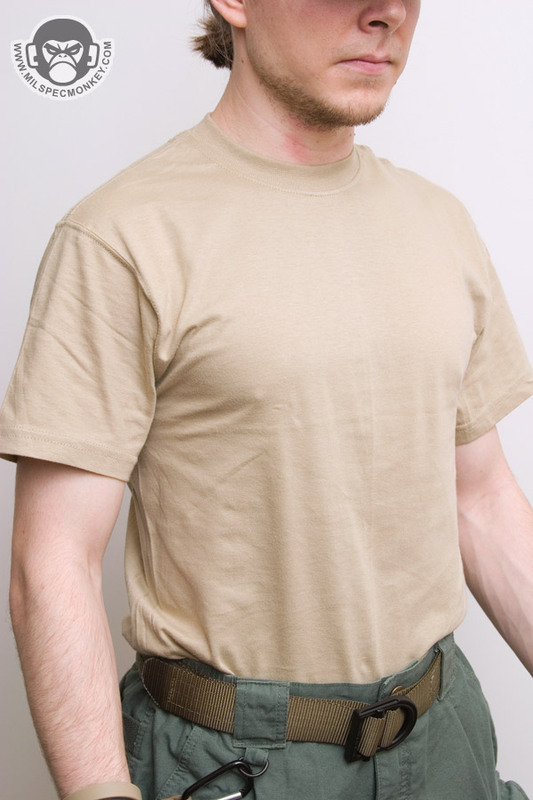 cotton makes this shirt soft and comfortable. 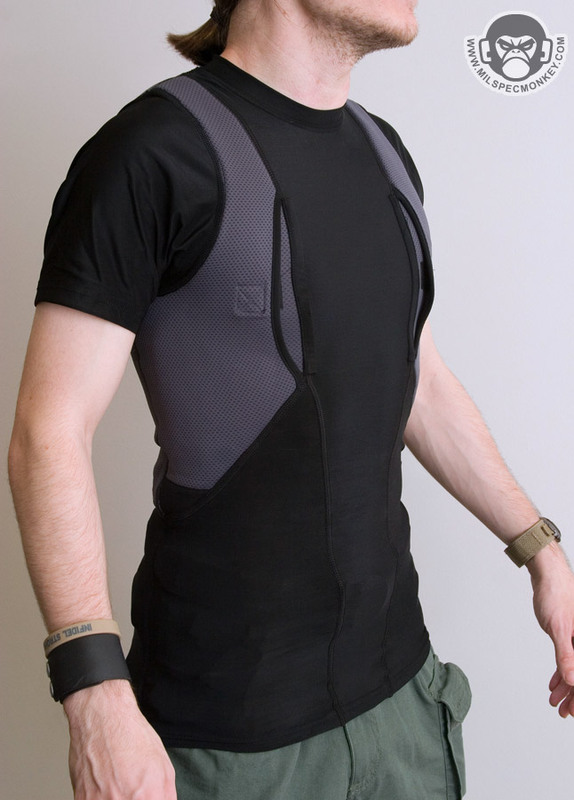 The shirt also has moisture-wicking properties to help keep the sweat off you when commonly used as a under-shirt. 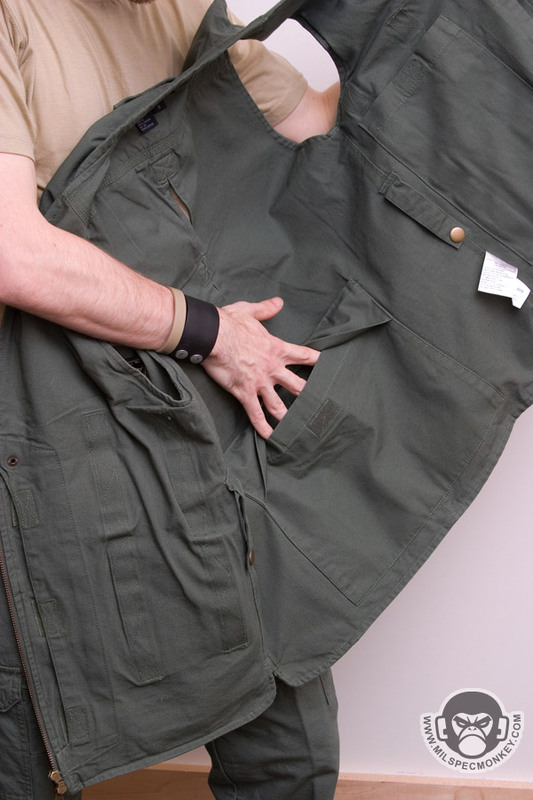 There is plenty of length so tucking in is easy and your able to adjust bagginess. 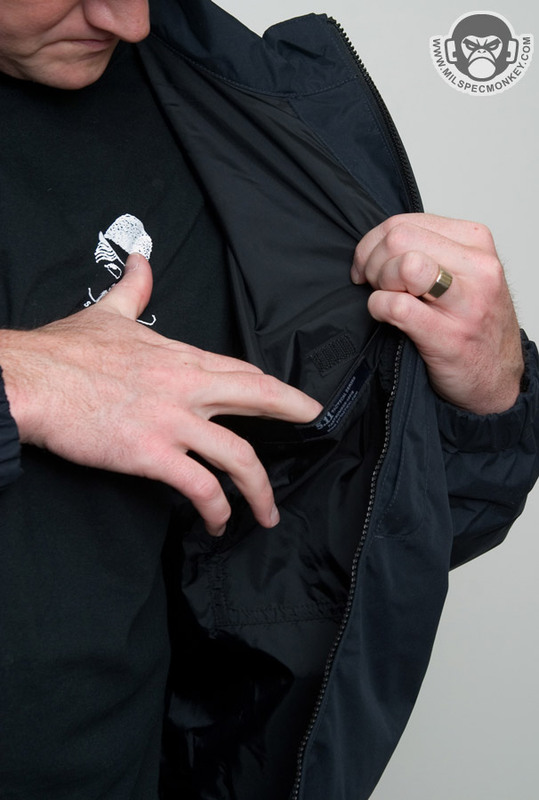 The tag is printed rather than sewn guaranteeing no tag annoyance. 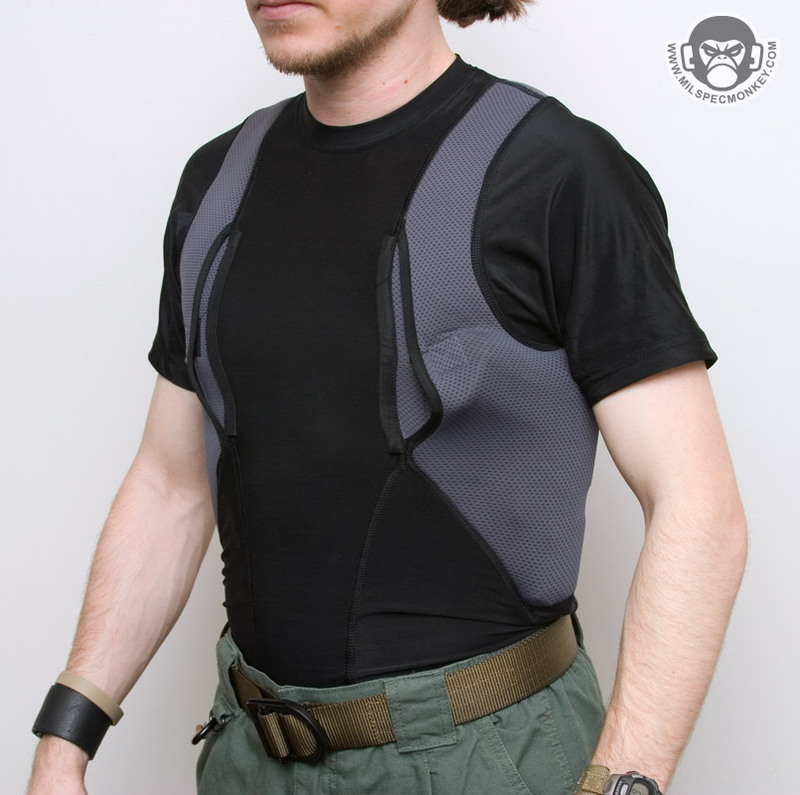 Sold in 3 packs and crew or v-neck, these are very practical and affordable. 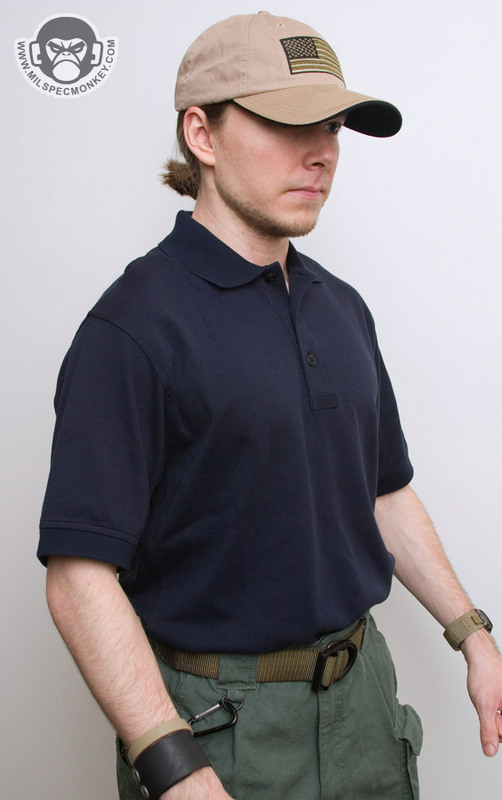 Currently available in white, black, ACU-UCP tan, and navy. 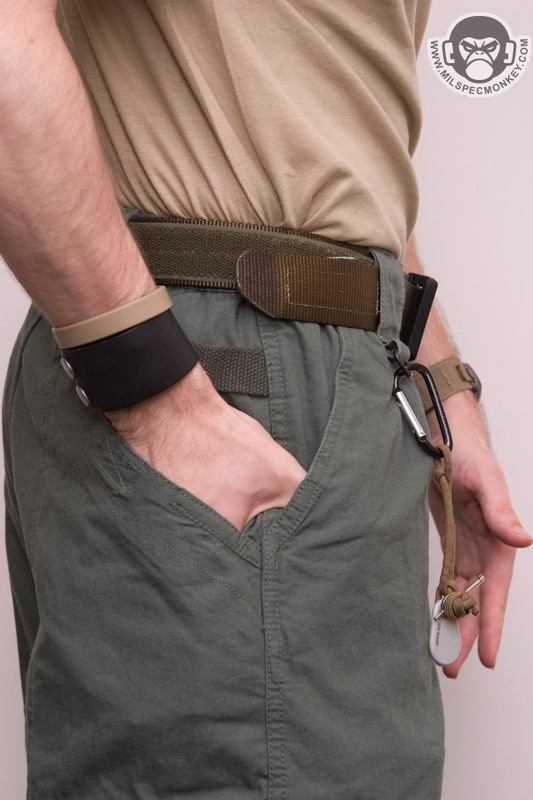 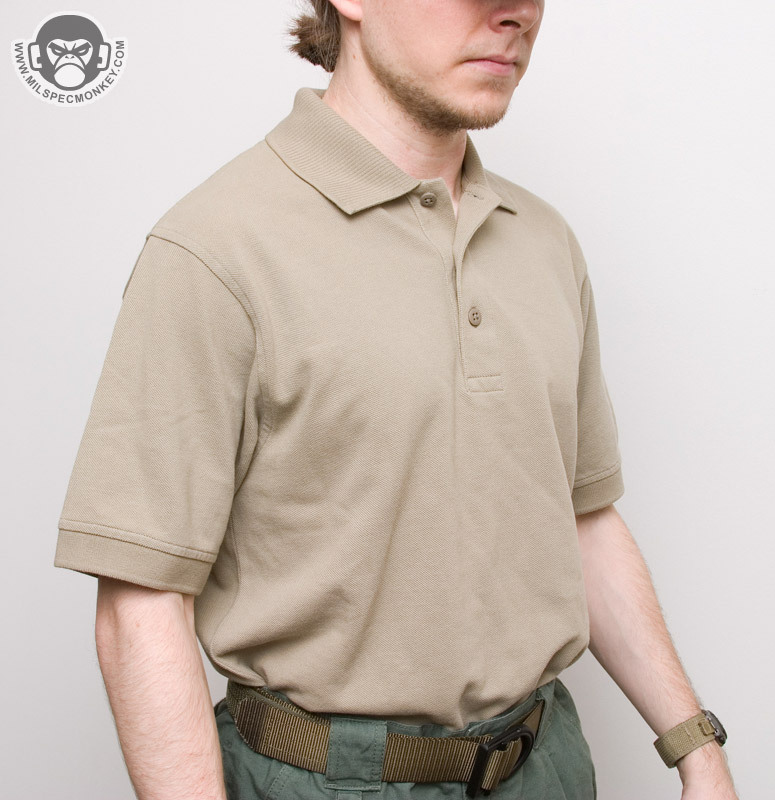 The trainer belt is a solid BDU style belt with a custom harness adapter (metal hardware) instead of the usual surplus one. 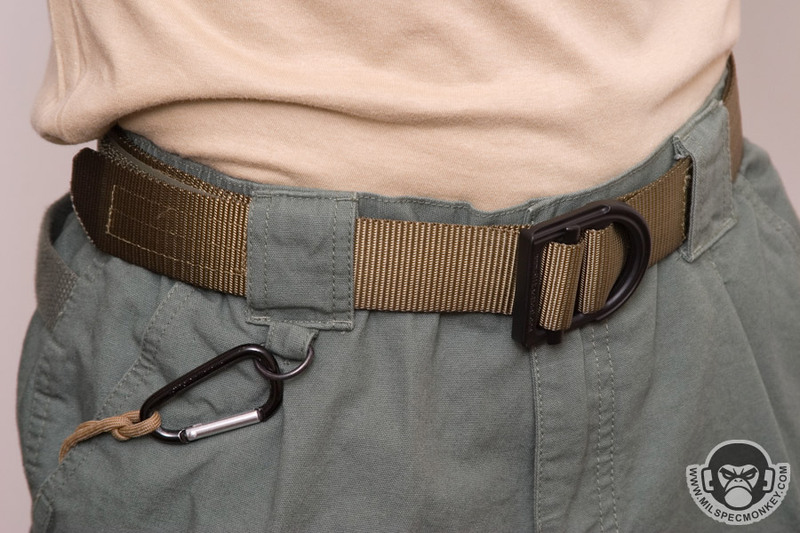 A generous portion of velcro allows for ease in adjustability and security of your extra slack. 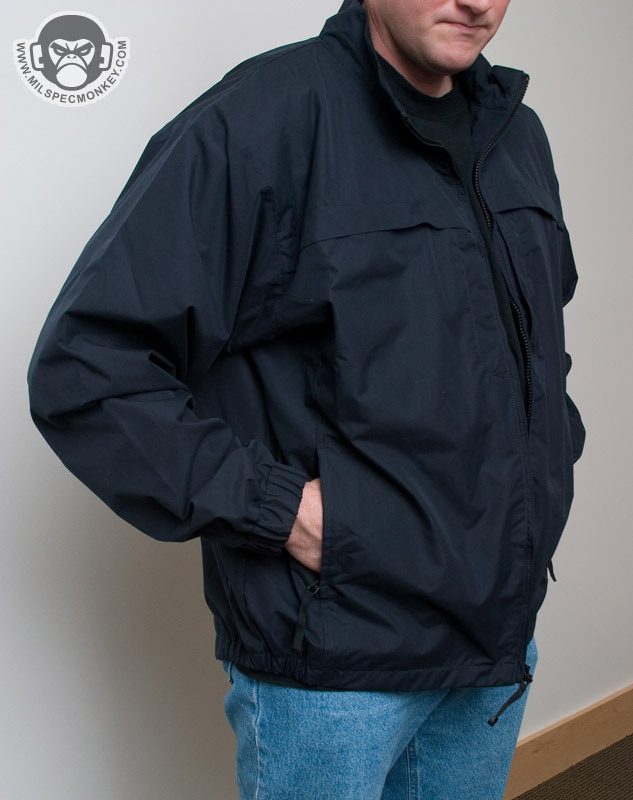 The end has been rounded off and coated or heat treated so it won't fray. 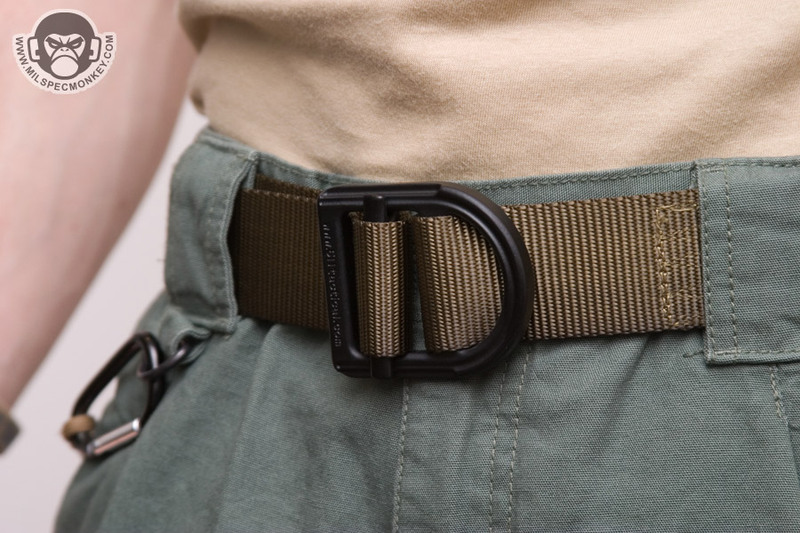 This particular belt is fairly flexible for comfort and is 1.5" wide while the 5.11 Operator belt is 1.75" wide and more stiff. 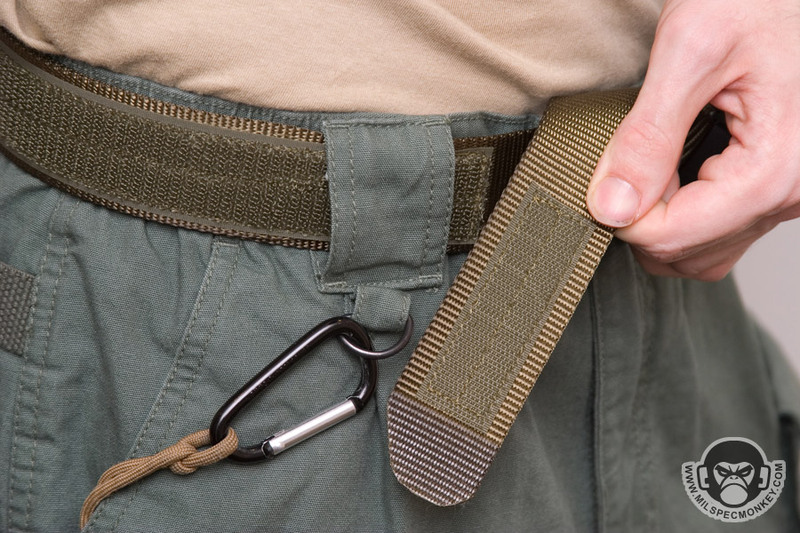 Although mostly meant for holding up your pants, if it came down to it, this belt could withstand the user's full body weight and then some. 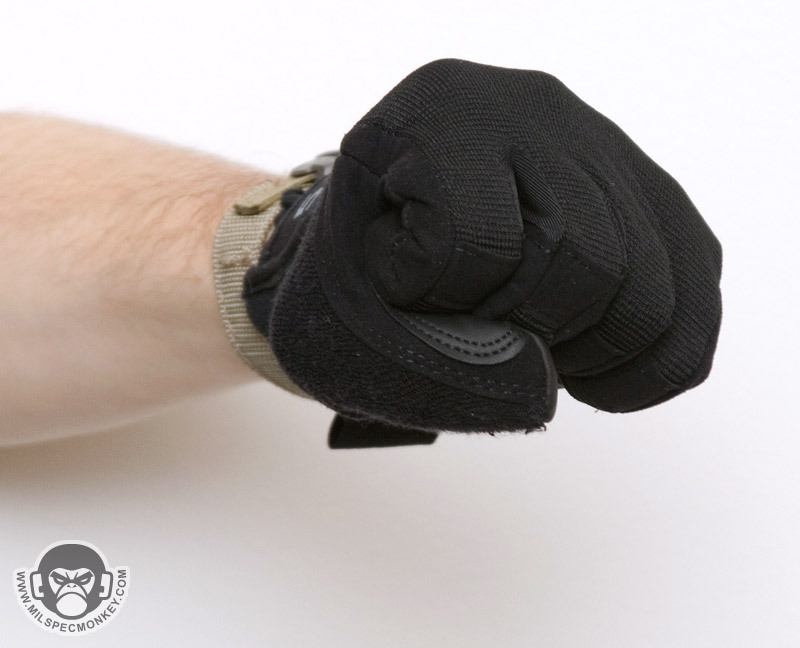 A medium weight glove, these are more padded than most of the shooter gloves I have used. 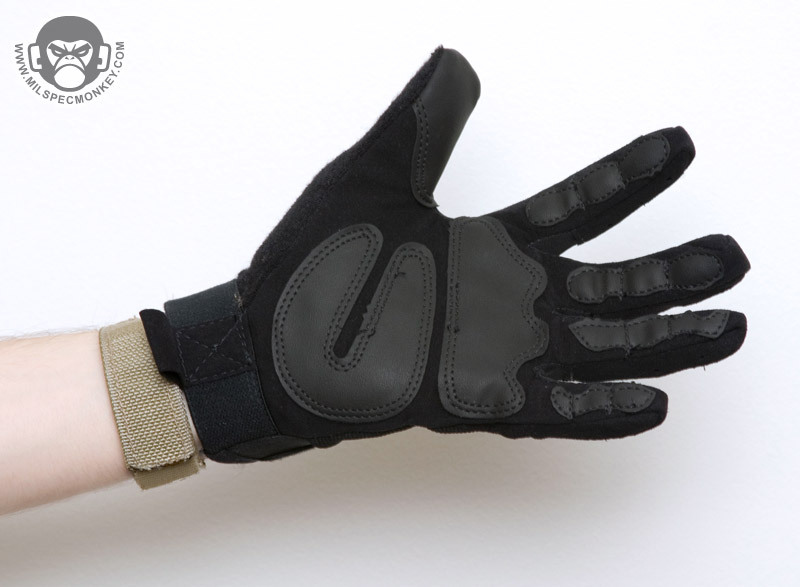 They aren't very tactile due to the padding, however the padding makes them more comfy for hard contact applications. 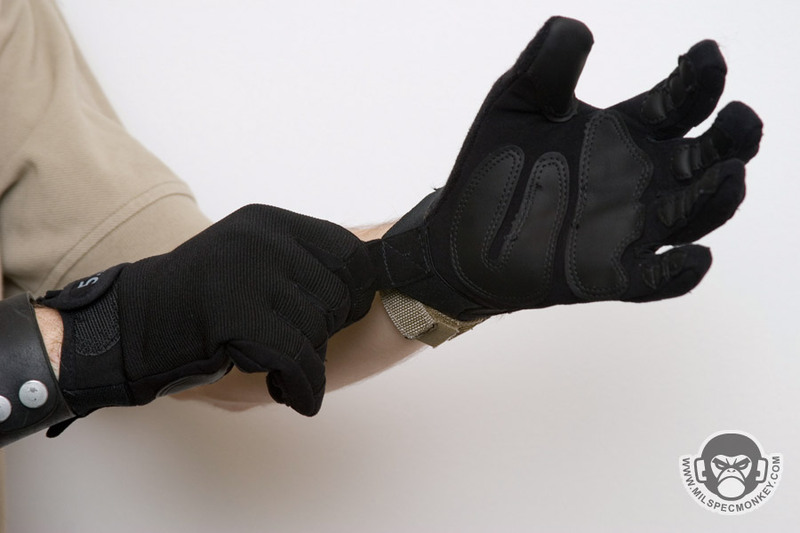 A free silver caraibineer comes with the packaging to assist with connecting gloves to yourself when not in use. 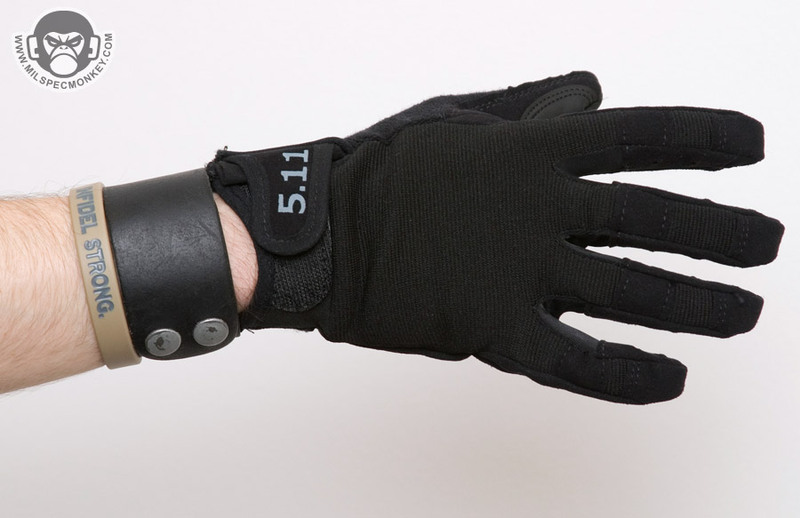 On that note the pull tabs work great for assisting in putting the gloves on and also for having a connection point. 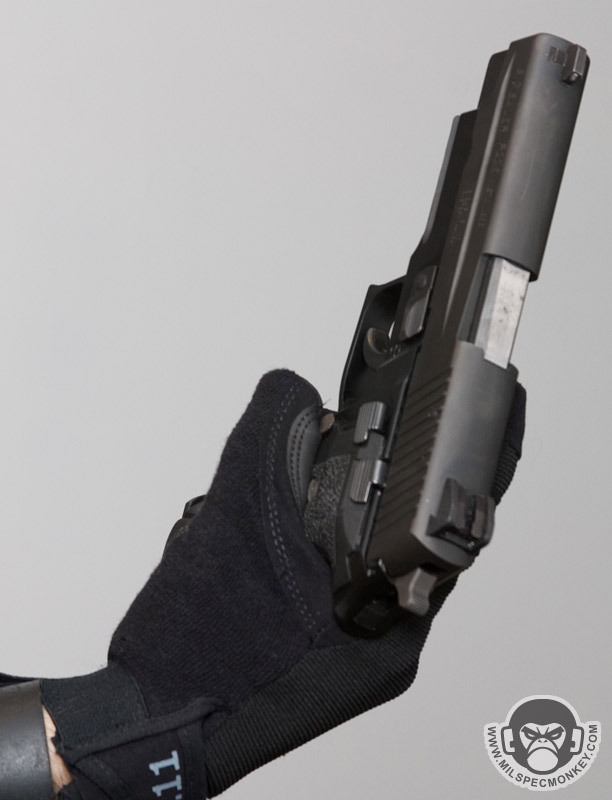 They work pretty well for rifles, however when using pistols the thumb seam is unfortunately where I press the mag release making it more difficult.